Money is an interesting thing, isn’t it! It’s one of those areas of life where so many of us have blocks. There’s no getting away from it, we need money for running our lives, enjoying ourselves and making a bigger difference. It’s much harder to feel expansive and dream big when you don’t know how you’re going to pay the bills at the end of the month. And making a big impact in the lives of many is so much easier when you have money to fund projects and pay for support to make it happen. We want money for so many different reasons. To feel safe and secure, to have fun, to feel free to make choices, to go for our dreams and desires, to pay for adventures and experiences, to invest in our businesses, to support our loved ones, to fund creative projects, and so on. But essentially, what we want money for is that we believe the having of it will make us feel better in some way. Most people assume that once they have the money, then they will feel all the good stuff. But if you’re waiting for your external reality to change before you can be happy, you’ve decided you’re limited and things can’t easily change, or you let your undesirable life circumstances dictate how you feel, then you are missing a very big and important trick. 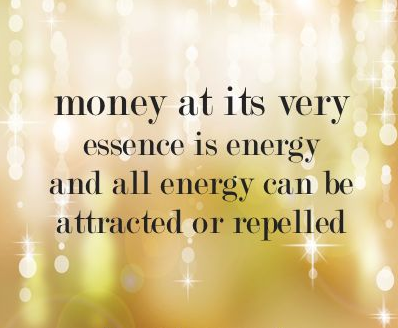 It may not make sense to your logical mind, especially when the bills are piling up, but you need to feel the feelings of financial wealth first in order to attract it into your life. The feelings of what you believe money will bring you when you have it – and then you will draw it into your reality. Because when you regularly practice getting into your feelings and being the energy of already having what you desire, of having and accumulating money, and using your imagination to explore every good thing that this would mean for you, you will charge your energy field with this frequency you are being. And what you transmit must come back to you – simple Law of Attraction. 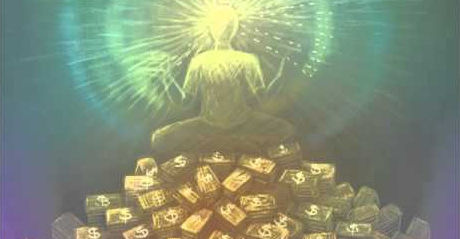 Eventually you will feel so abundant on the inside because you already ‘have’ the feeling that you believed the money would bring you, that you drop the ‘needy’ energy that keeps you looking outside yourself. And when the needy energy is gone – which is a kind of resistance to what is, and pushes what you want away from you – there is nothing stopping you from attracting what you’ve been focusing on. And that’s when manifesting appears effortless. This energy work should be done on a daily basis for best results, because the more you practice it, the more you will raise your vibration. 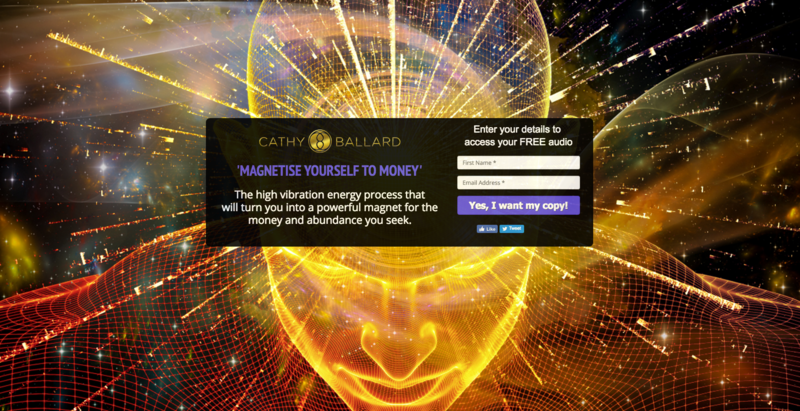 I’ve just created a new ‘Magnetise Yourself to Money’ energy process audio which you can download for free. There are lots of visualisations available for attracting money, but this is quite different. I often use this with my private clients because it’s such a powerful way of co-creating with the Universe. In this process you will be guided to connect with the Unlimited Power, Abundance, Knowing and Intelligence of the Universe – the greater field of Consciousness that is an extension of YOU – your Greatness, and True Nature. You are so much more than just a human being in a body. That is the Big Illusion that keeps us stuck and small and holds our dreams and desires – and money – out of reach. When you connect to this higher level of consciousness you experience yourself as the energy of Unconditional Love and Oneness. And in that space there is no fear, no confusion, no doubt, no lack or scarcity and no separation. You are not separate from that which you desire. You are not separate from money. And you are not separate from the forces that can bring it to you. The power at this level of awareness is vast – the Powers and Knowing of the Universe are at your finger tips, and available to you whenever you consciously choose to connect with it. In truth you are always creating with the Universe, but most of the time this is unconscious and includes all the experiences you don’t want. You might not like your current life experience as it is right now; maybe money has been short, causing stress and anxiety, but this too has been created as a result of your past thoughts and being. So when you intentionally choose to be the vibration you wish to experience, you are consciously co-creating with the Universe. You are sending a message rippling out into the field of Consciousness about what you desire, and that you are ready to receive it. So for example, if you would love to experience a constant, abundant flow of money through your life, then practice being the energy of receiving that abundant flow. Imagine what it would be like, and be it – energetically. This is where the transformational work is, and holding to it no matter what is showing up in your external reality. Listening to the guided process on this audio will help you access this vibration. When you do this energy work regularly, you strengthen your field of resonance. The resistance your ego might use to keep you in your current level of reality is easier to overcome, you become more resilient and resourceful, and you stay focused and on track to what you desire. I hope you find this powerful process useful, enjoyable and maybe even make it a part of your regular practice for co-creating the life you want to live. If you’ve enjoyed this article, have any questions or know someone who it will benefit, please leave a comment or share it. I’d love to know how you get on with it.